Stuck in the Library is more than a literary magazine. Stuck in the Library is a diverse, well-grounded and articulated community of writers, artists and enthusiasts. We have amazing events for this Spring that you do not want to miss! Make sure you RSVP on Facebook if you'd like to attend any of our events! Write the Night away with coffee and good vibes. 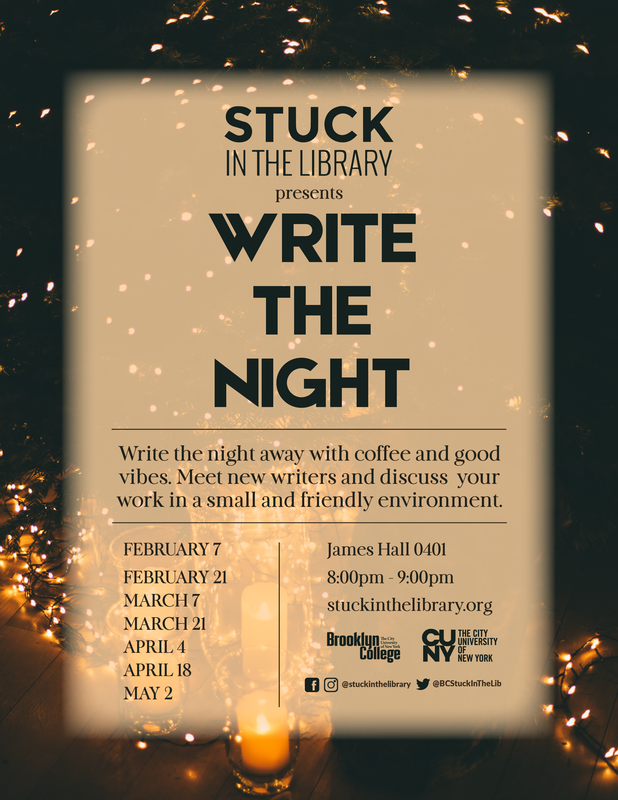 Our Write the Nights are the perfect place to meet new writers and discuss your work in a small and friendly environment. Make sure you RSVP here or email mary@stuckinthelibrary.org if you have any questions, comments, or curiosities. 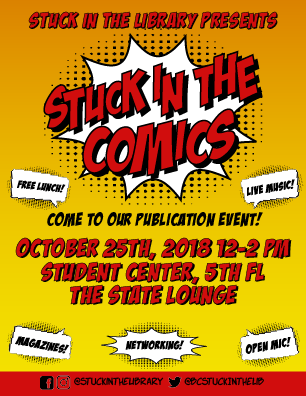 Stuck in the Library is hosting two publication events for Spring 2019. 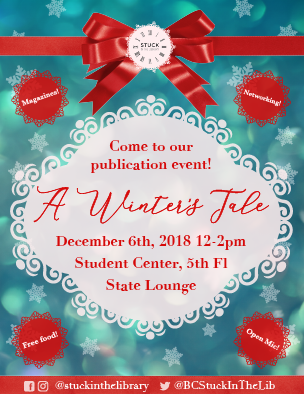 Our publication events are celebrations for the launching of our most recent magazine, and for writers, editors and artists to meet in a social atmosphere.